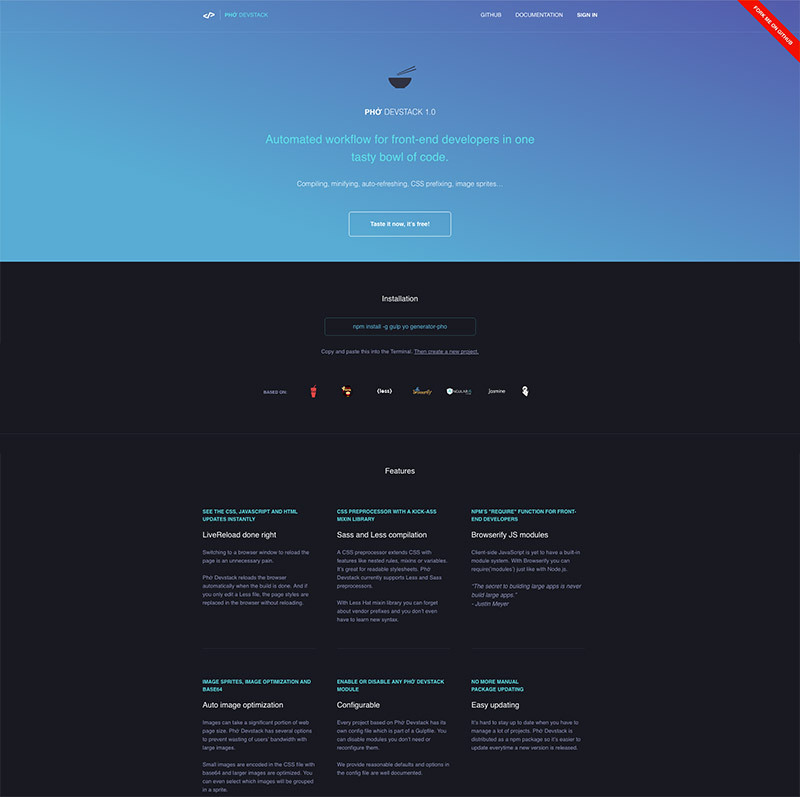 If you’ve been to a lot of websites lately, you may have noticed that gradients are cunningly coming back in web design. They may be seen as background fillers or in other element design, either way, they are there, and they are looking pretty good. 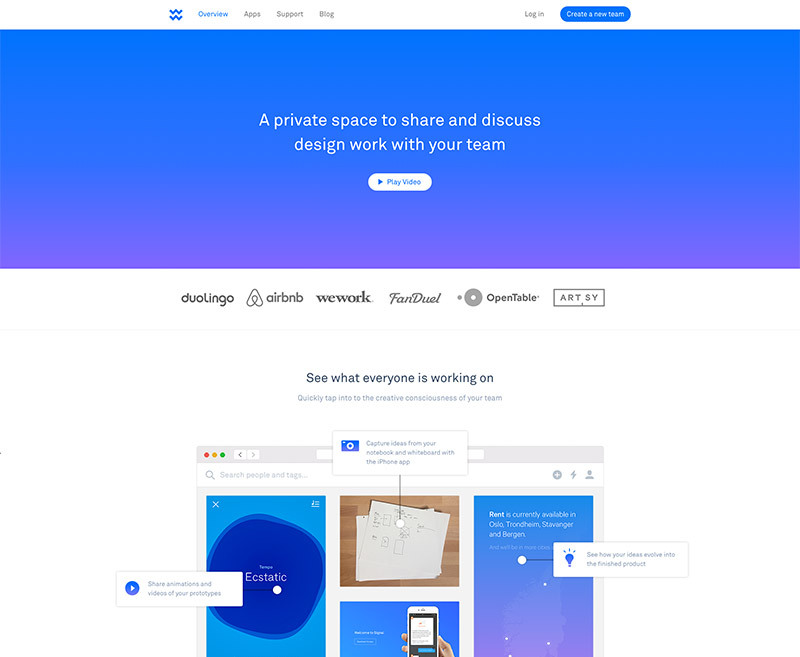 Though flat design is still up in the current trends, gradients are making a potential return, but this time with a combination of flat elements, background photographs, and such – making it very versatile in web design. These websites that we have gathered below will show you that gradients are still looking strong even in today’s modern design. 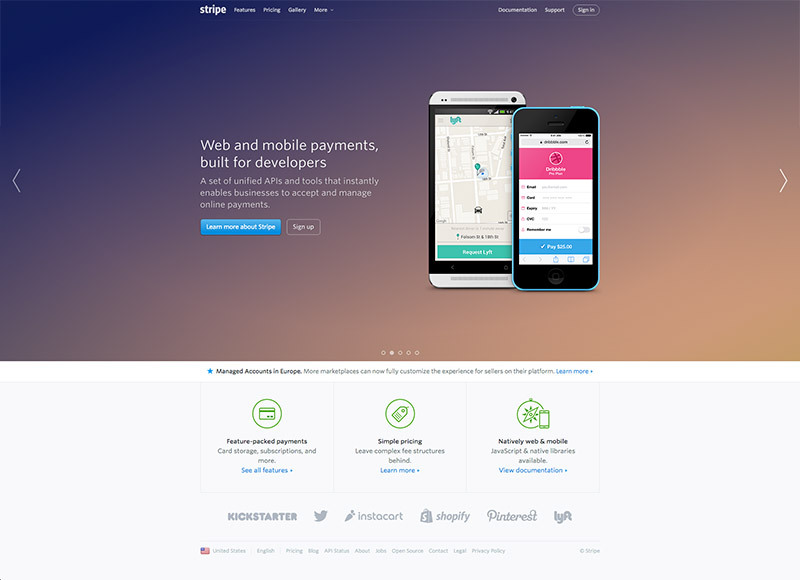 Check out these 15 excellent examples of web designs with gradients in them. Come, take a peek, and be inspired! 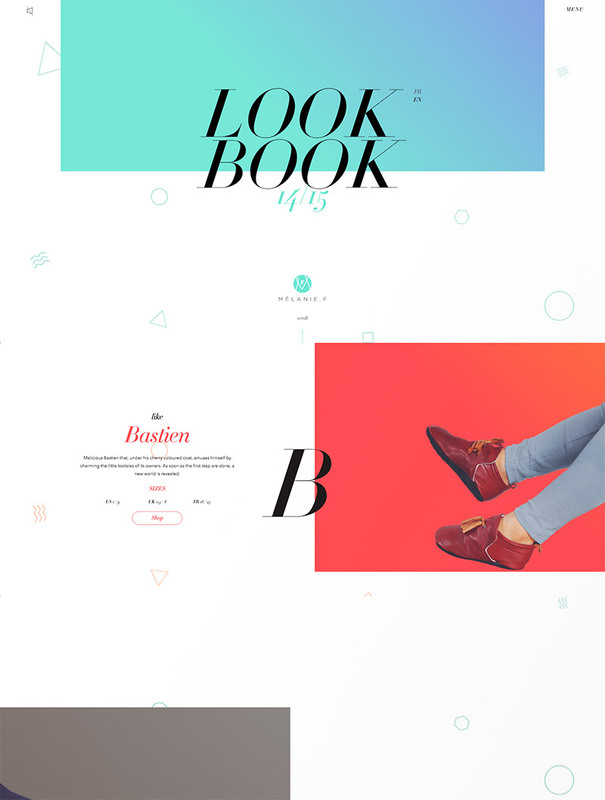 This website has a beautiful design with a mesmerizing parallax effect and gradient backgrounds that makes the images more stylish to the eyes. 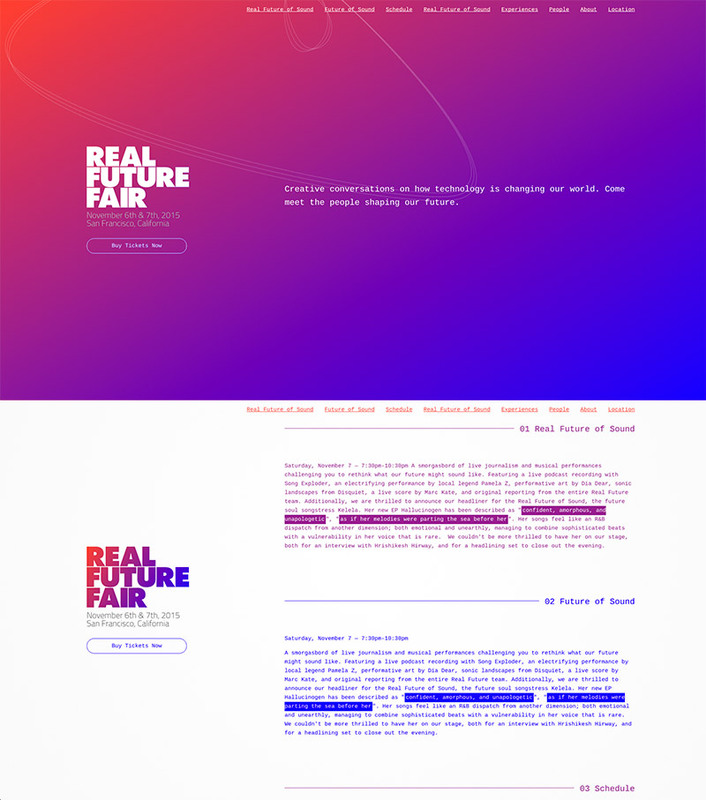 Real Future Fair utilizes a fullscreen background with red-violet color gradient in diagonal angle. 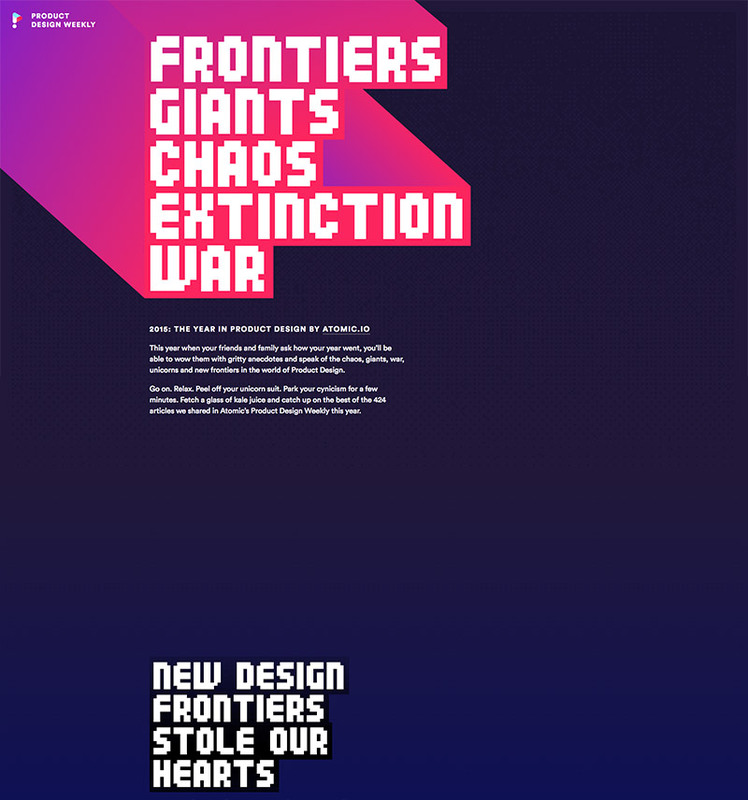 Wake on the other hand has a more popular blue-violet gradient theme that is trendy in the current design world. 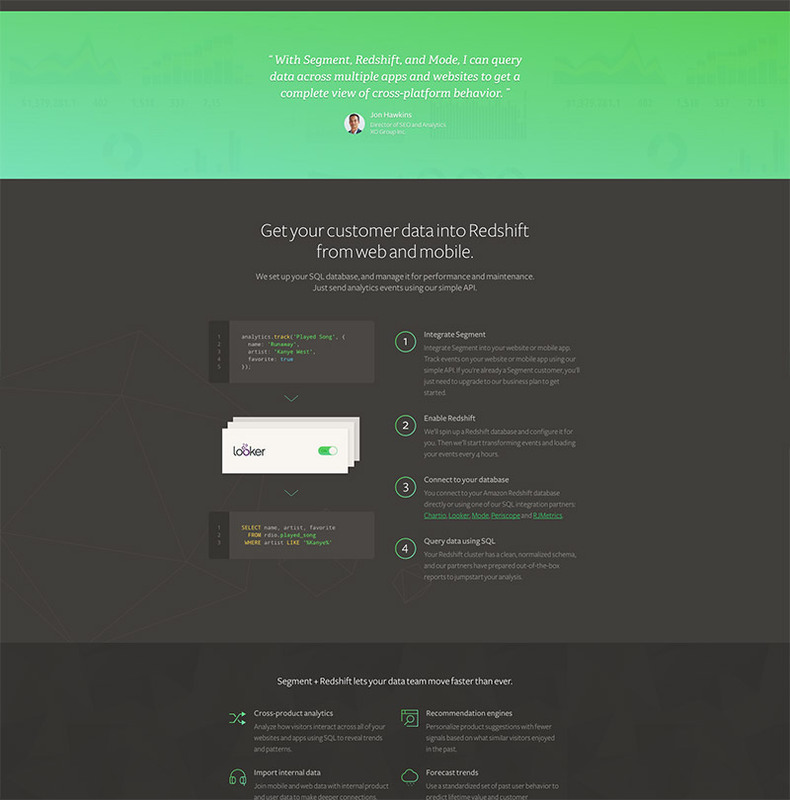 Segment beautifully combines grey backgrounds with green gradients that are used in logos, segment background, and icons. 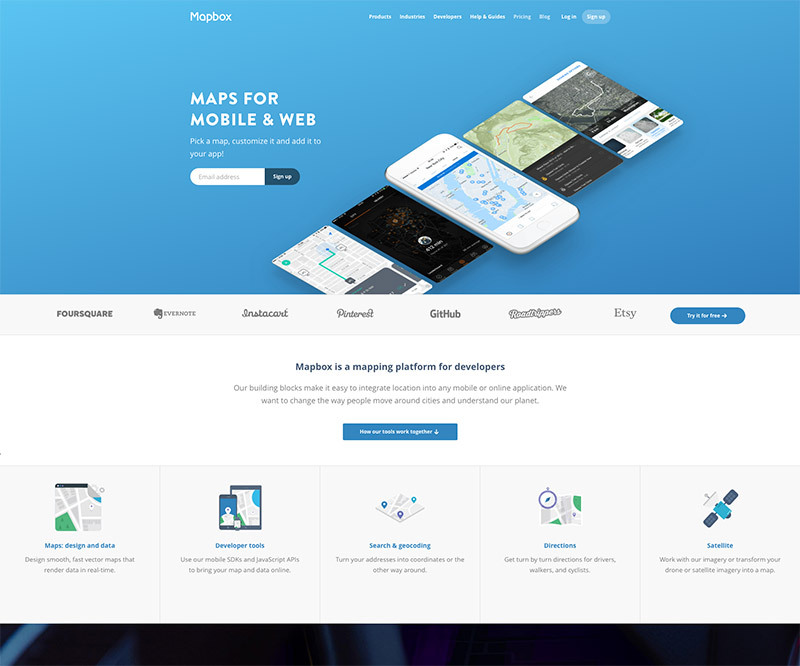 Mapbox displays a beautiful hero image with a blue gradient in diagonal fashion. 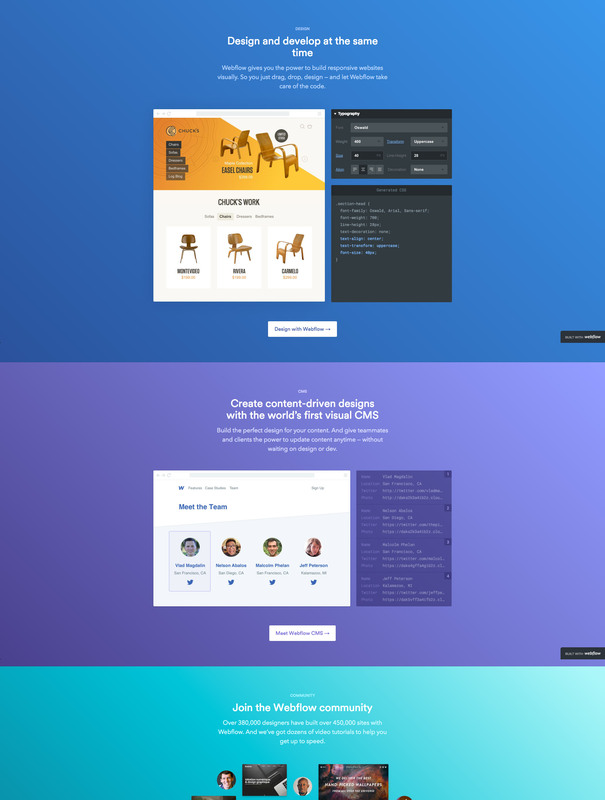 This website incorporated various gradients for its hero image as well as the overall background. Here is another beautiful diagonal gradient design used in a hero image. 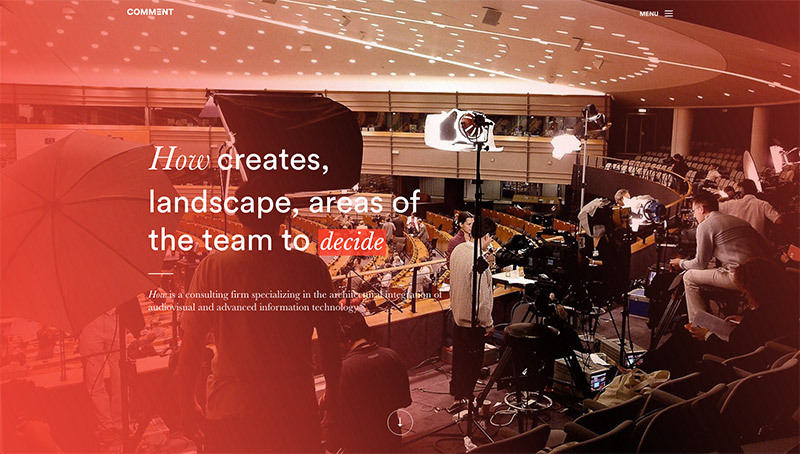 It puts an elegant and artistic ambiance to an otherwise simple web design. 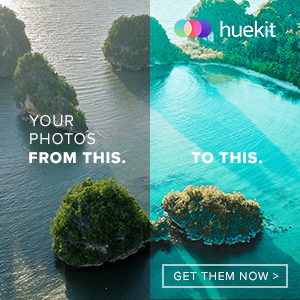 Comment overlays a semi-opaque gradient to its background image. It displays a red shade transitioning into its transparent part at the middle of the page, adding more flare to the background. 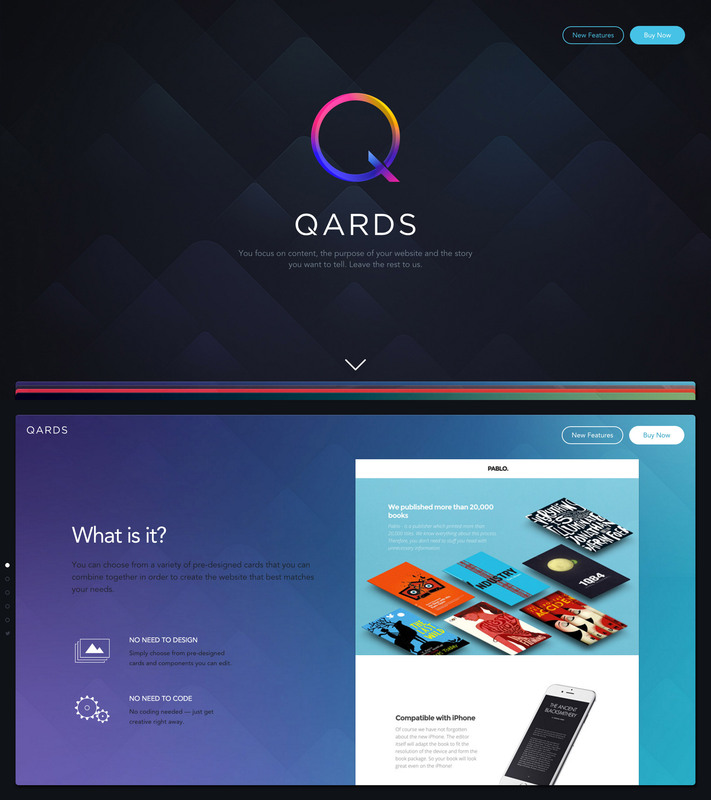 Qards delivers various gradient designs that make the page segments more artistic and enjoyable to the eyes. 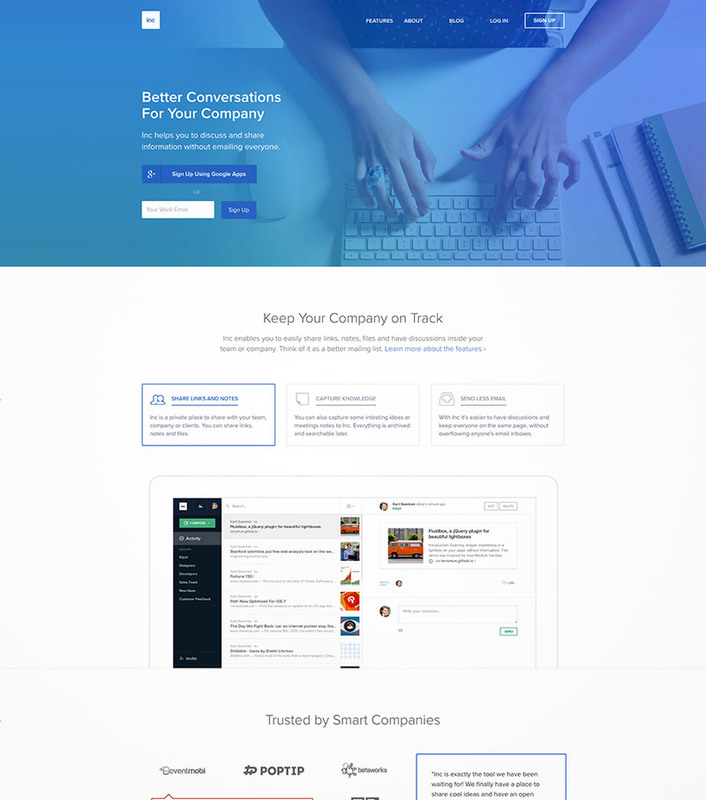 Inc overlays a subtle blue gradient to its hero image, making the section more clean and collective. This one has a more cleaner gradient playing with various blues. 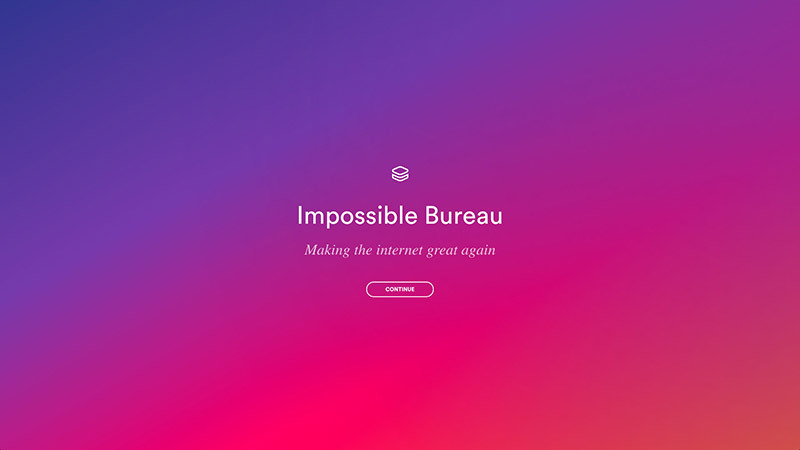 Impossible Bureau uses a dusky gradient that is displayed in full background during the loading page then transitions to its homepage where its elements and background show similar design as hover effect. 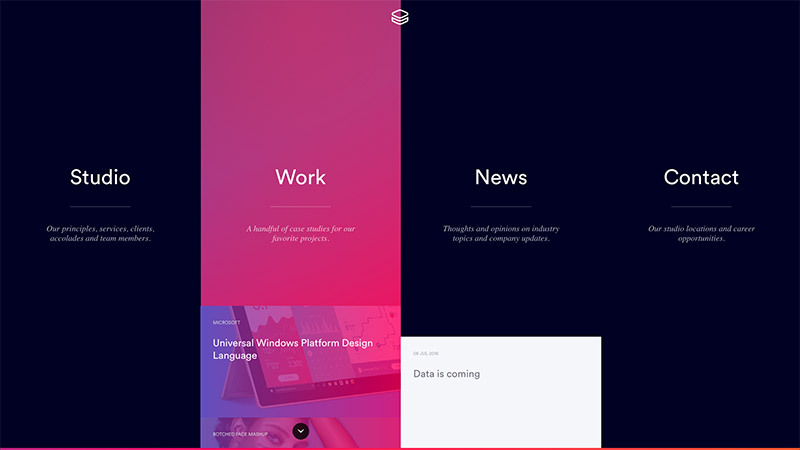 Webflow also utilizes a set of full-width background gradient that beautifully displays various segments. 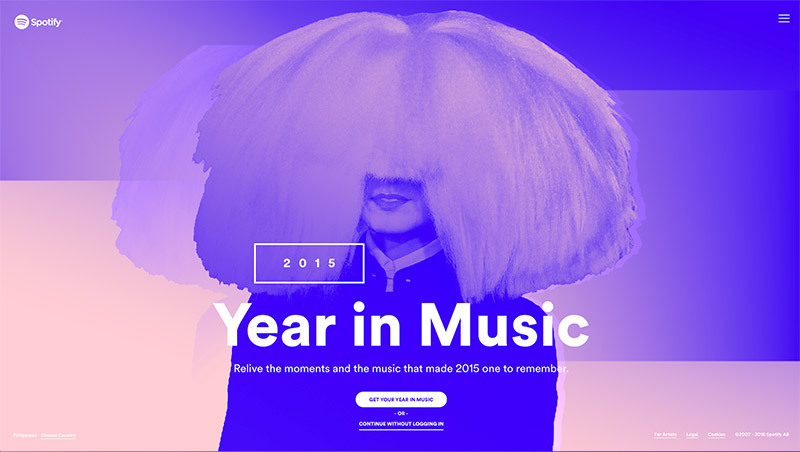 Spotify is also one of the sites that uses gradient for web designs. This is their Year in Music feature. 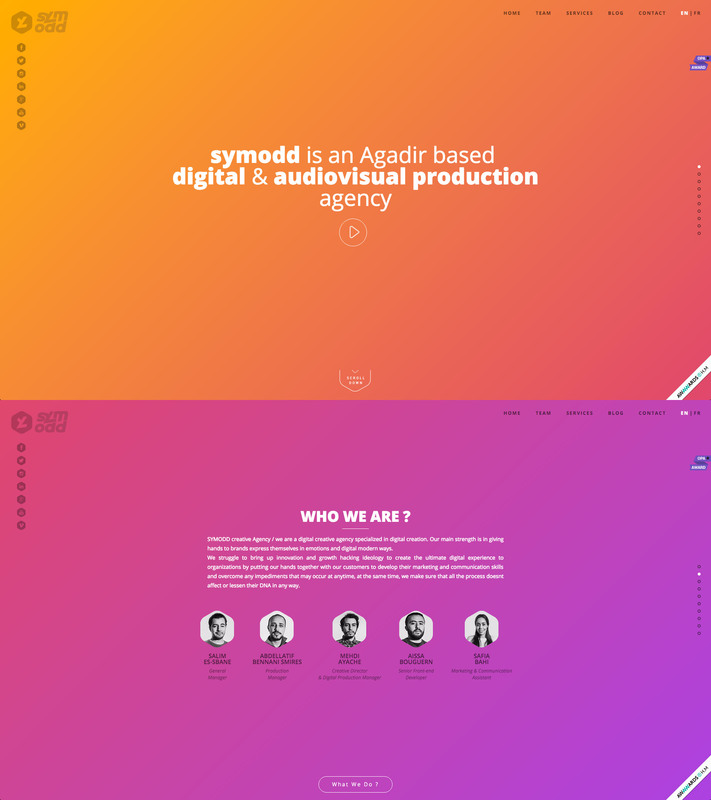 Symodd’s segments are filled with gradients that it looks both minimalistic and artistic.